So, how do they make it affordable? Everything is done in-house. From concept and design to quality craftsmanship, EyeBuyDirect control and oversee the whole process. Even though they don’t have any physical stores, they’re able to offer the lowest possible prices by cutting out the middleman. Before EyeBuyDirect was born, the founder traveled abroad and was entranced by the different cultures. However, he soon noticed that not everybody was fortunate enough to have access to perfect vision. Ever since then, EyeBuyDirect regularly donate to nonprofit organisations that share their passion for vision correction. In fact, since the beginning of 2015, over 250,000 pairs of eyeglasses have been donated to the company’s partner charities: Feed the Children and The Lions Club. EyeBuyDirect offer quality frames that are checked extensively for perfection at every stage of the manufacturing process. They’re made from premium materials, including plastic, acetate, wood texture, metal and titanium to ensure high-quality and durability. As well as eyeglasses, there are currently over 200 pairs of men’s and women’s sunglasses on the site with over 12 unique tinting options. Looking to turn your eyeglasses frame into a pair of shades? No problem. You can do this with EyeBuyDirect’s sun tint service. The company also has their own in-house brand called RFLKT. These collections are based on contemporary architecture and design, with each frame and name embodying an aspect of the modern cityscape. Our verdict? They’re undeniably sleek and timeless. From full rim frames to rimless, bold black to popping yellow, and classic squares to on-trend cat-eye, EyeBuyDirect offer eyewear to suit every taste and budget. In terms of the creative process, their designers look for inspiration from our daily lives. Every pair of frames is produced with their customers in mind, aiming to emphasise their style and personality. The most popular frame on the website at the moment is called Firefly. 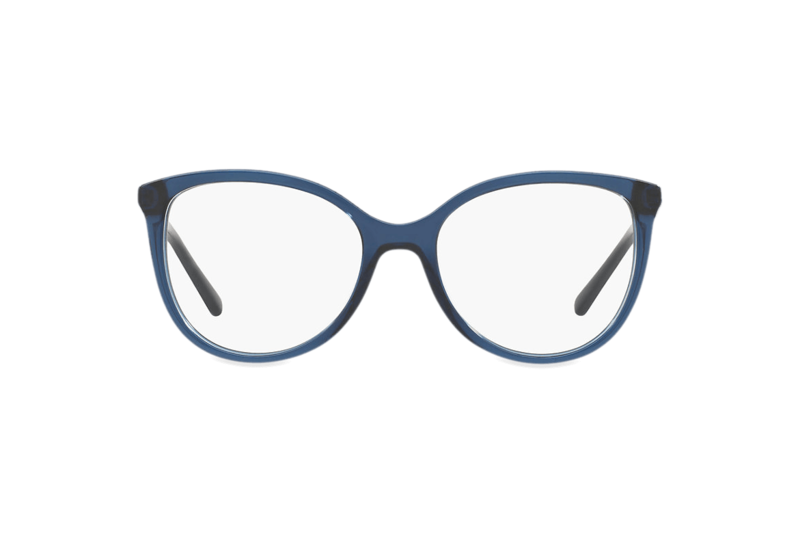 This pair of eyeglasses is unisex in a bold navy matte hue. 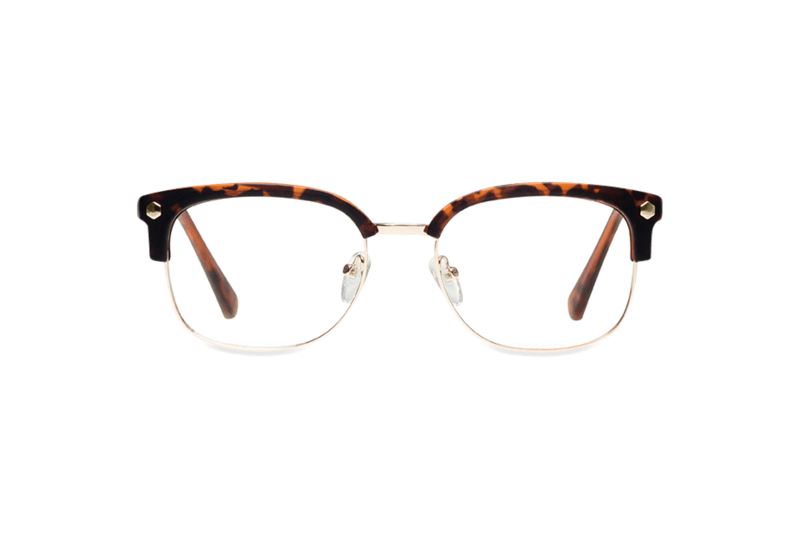 Classically fashionable, they have an elegant acetate finish and are also available in tortoiseshell. Their distinctive rectangular shaped lenses compliment all face shapes and create the ultimate style statement. Not quite for you? Another bestselling frame by EyeBuyDirect is St Michel. Golden in colour, the idea behind these unisex glasses is that you become a “21st-century saint of style”. The smooth, streamlined design of the matte metal perfectly contrasts the retro oversized shaped lenses. Also available in bronze, silver and gunmetal, they’re just as edgy as they are fashion-forward, and can be dressed up or down for practically any occasion. EyeBuyDirect offer a number of different options for all your lens needs. In terms of lens thickness and heaviness, there are six varieties of indexes available. When shopping for your glasses, bear in mind that the general rule is: the greater the index number, the thinner the lens. Digital screen protection - The blue-violet light emitted by digital screens can be incredibly harmful for your eyes. If you wear blue light blocking glasses, you can reduce the amount of blue light that enters your peepers and ultimately enhance your screen time. Scratch resistance - This will protect your lenses from everyday wear and tear. Anti-glare - This will reduce the amount of glare you get from reflective surfaces. UV protection - This includes an ultraviolet filter that will shield your eyes from harmful UV lights. Reading enhancement - This helps eliminate the weakening of the eye muscles as you age. However, all of these coating options come at an additional cost. The good news is that EyeBuyDirect offer free domestic shipping if you’re based in the US. The bad news is that you’ve got to spend over $99 to qualify for it. However, the company does deliver your shiny new specs nice and quickly compared to other eyewear retailers. You can expect to receive them in 7-14 business days - sometimes sooner! This wait time is the same for international customers, but you have to pay substantially more for shipping. If you’re not satisfied with your order, you can simply contact EyeBuyDirect for a return or exchange. They have a 14-Day Fit and Style Guarantee, as well as a 365-Day Product Guarantee. The latter means that a one-time replacement pair will be issued if your frames have clear defects in material and workmanship. EyeBuyDirect make it really straightforward to buy prescription eyewear online. Their website is simplistic, clean, and user-friendly. You can choose to browse the company’s entire catalogue - or use their filter options to shop by price, colour, style, or shape - from the comfort of your own home. Once you’ve found a pair of specs you like, you can try them on through the company’s “EyeTry” virtual mirror. This works by uploading a photo from your device and is extremely handy to find out which particular frames will suit you. Ready to order? Simply enter the information written on your most recent lens prescription from your optometrist and then checkout. You can call the customer service team or message them via the Live Chat feature should you need any assistance. And then sit back, relax, and let EyeBuyDirect do the rest. EyeBuyDirect have a unique pricing proposition. 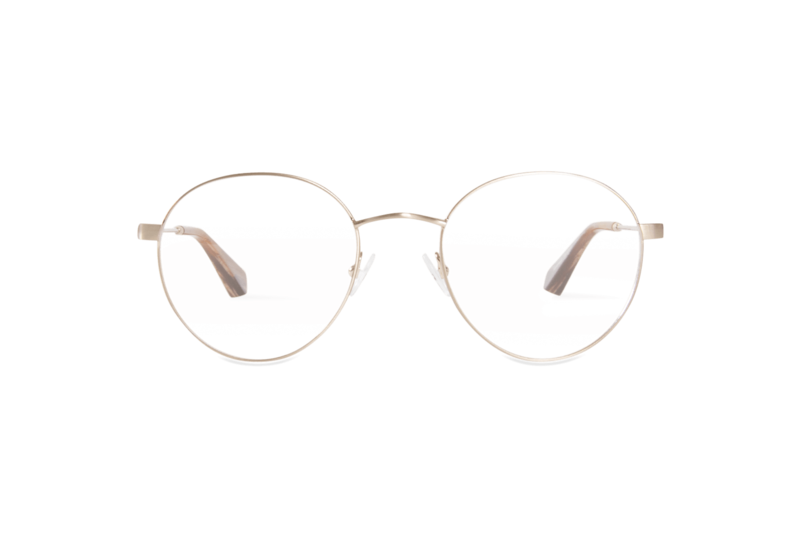 All their available glasses are listed on the site at the cost of the frames only. If you want to implement any kind of lens, there’s an additional charge. For basic lenses, the price is usually an extra $6.95. For the most popular lenses (including coatings), it will cost $18.95. Then advanced lenses will set you back $30.90. Even with this pricing policy, there’s no doubt that EyeBuyDirect is one of the cheapest eyewear retailers online. 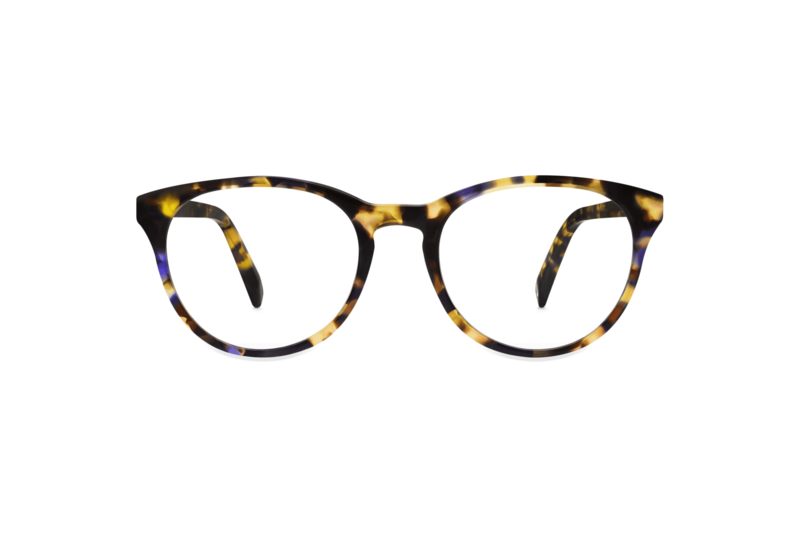 The lowest priced pair of eyeglasses on the site at the moment is $4.80 for Circo Kids. The highest is $70 for Lucid frames. This means that the price range is $35 - $100 even with the most expensive advanced lenses. When it comes to sunglasses, the cheapest pair of gigs is $15.29 for Meadow. The most expensive pair is Ethereal at $70. However, if you’re after prescription sunglasses, the additional cost is $20 for distance lenses and $108.95 for multifocal. This means that the average price point for the most expensive multifocal lenses would be $135 - $180. Sure, it’s slightly pricier than their eyeglasses, but not compared to other retailers on the market. 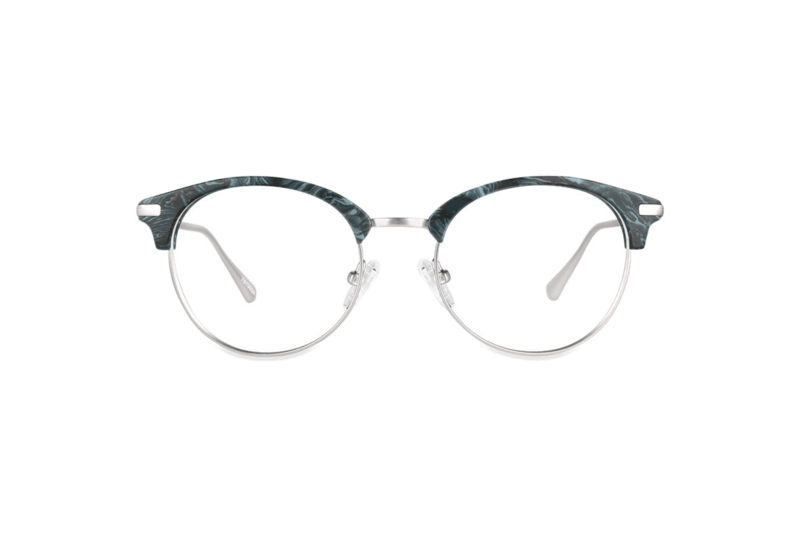 EyeBuyDirect feature an extensive portfolio of fashion-forward eyewear at extremely affordable prices, including their own trendy label RFLKT. Offering a wide range of choice in terms of shapes, colours, and materials, there really is something for everyone. 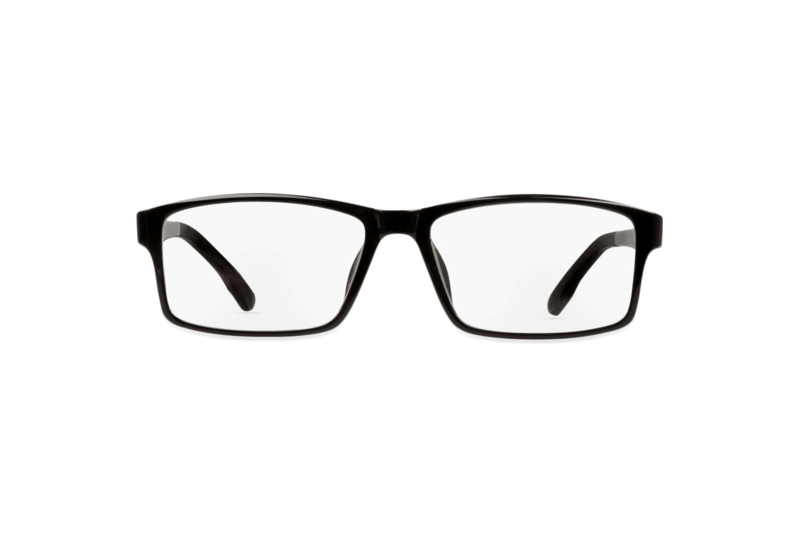 They also provide a number of different lens options for those searching for high-quality and durability. Even though EyeBuyDirect have an unusual pricing proposition where the price listed for each product on the site is for the frames only, they’re still one of the cheapest eyewear retailers online when the lens cost is added on. The only major issue relates to shipping: you have to spend $99 to qualify for free domestic shipping and international shipping will set you back a reasonable amount depending on where you live. For glasses wearers who are looking for seriously stylish and affordable frames without having to visit a physical store, EyeBuyDirect is the website for you. 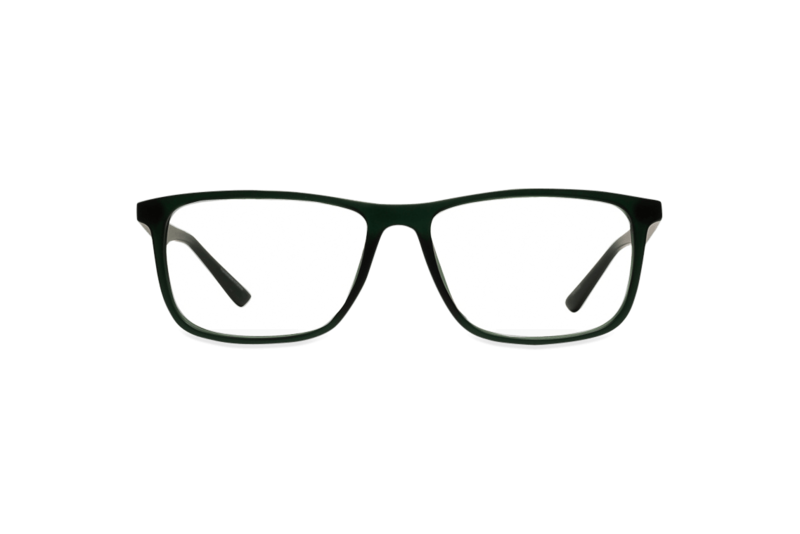 They also have the feel-good factor, as you can rest assured that the money they make from your purchase(s) will be donated to a charity that provides glasses to those who are less fortunate.